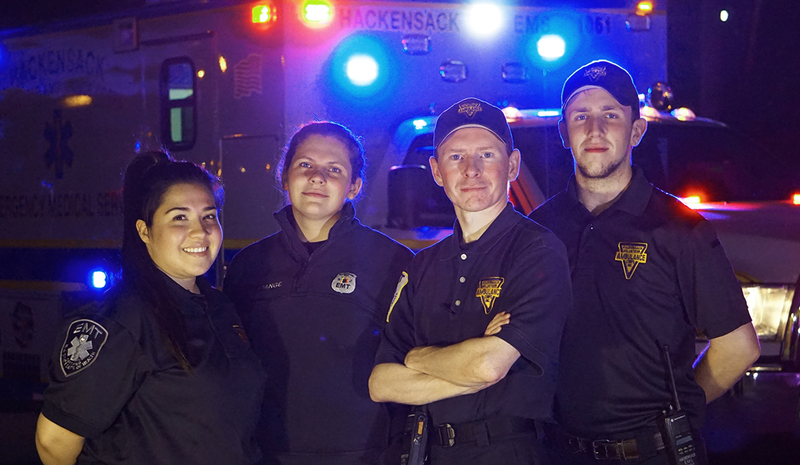 Hackensack Volunteer Ambulance Corps, Inc. The Hackensack Volunteer Ambulance Corps, Inc. is dispatched as Squad 1060 (Ambulances 1061, 1062, 1063, 1064 and 1065) on MICCOM’s 155.175 mhz channel. The Corps is licensed as a Basic Life Support Ambulance Provider by the New Jersey Department of Health’s Office of Emergency Medical Services (OEMS). The Corps provides Emergency Medical Services to the City of Hackensack and nearby Bergen and Passaic County, N.J. towns 24 hours a day. The Corps is a registered 501(c)(3) nonprofit organization, EIN 22-3472557, NPI number 1144543653. © Copyright 2019 Hackensack Volunteer Ambulance Corps, Inc.